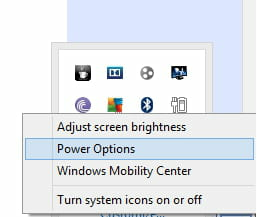 The hibernate feature is missing from the Power Menu of Windows 8.1. How to get it back? 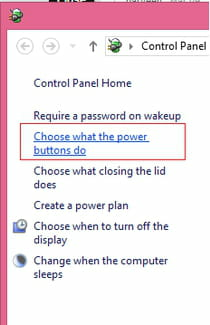 Right-click on the battery tray icon > Power options. In the left pane, click on "Choose what the Power buttons do" > "Change settings that are currently unavailable"
Go to the "Shutdown settings" section> "Hibernate". Check "Show in Power menu". Published by deri58. Latest update on March 26, 2014 at 06:11 AM by deri58. This document, titled "Windows 8.1 - How to enable the Hibernate option?," is available under the Creative Commons license. Any copy, reuse, or modification of the content should be sufficiently credited to CCM (https://ccm.net/).